Available to students in all of our communities ages 8 to 18. Students must know how to swim and will be tested before acceptance into the program. Year Round Program: This is a program of regular lessons in Optimist Dinghies, Sunfish, Lasers and Int’l 420’s, open to all in the community. These lessons take place two or three afternoons per week after school and all day Saturday during the Fall Term (September to December) and Winter Term (January to June). 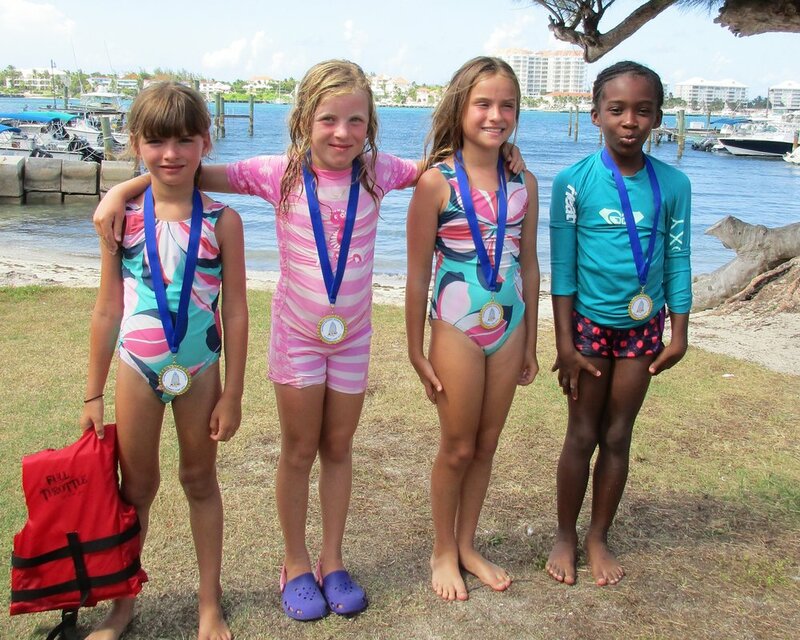 Optimist BEGINNERS - For sailors with little or no experience, including those who attended the Summer Camp in Optis. This is an introductory course aimed at teaching very basic skills and having the student become comfortable sailing on their own. Optimist INTERMEDIATE - For sailors with basic boat handling skills. The aim is to develop good boat handling, boat speed and a basic understanding of racing. This is also for sailors who are not interested in racing on a regular basis. 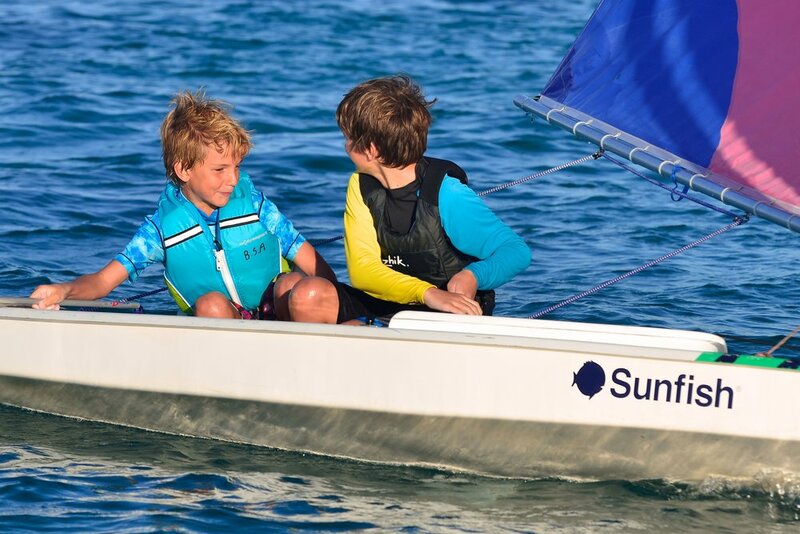 Sunfish Fleet - For beginner students who are too old or too big for the Optimist dinghy. 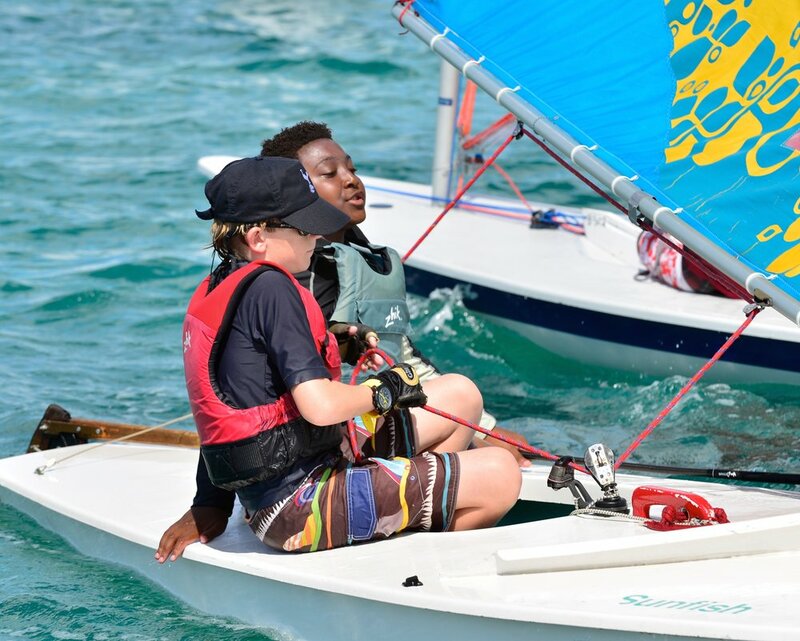 This is an introductory course aimed at teaching very basic sailing and racing skills and having the student become comfortable sailing a boat on their own or with a crew. 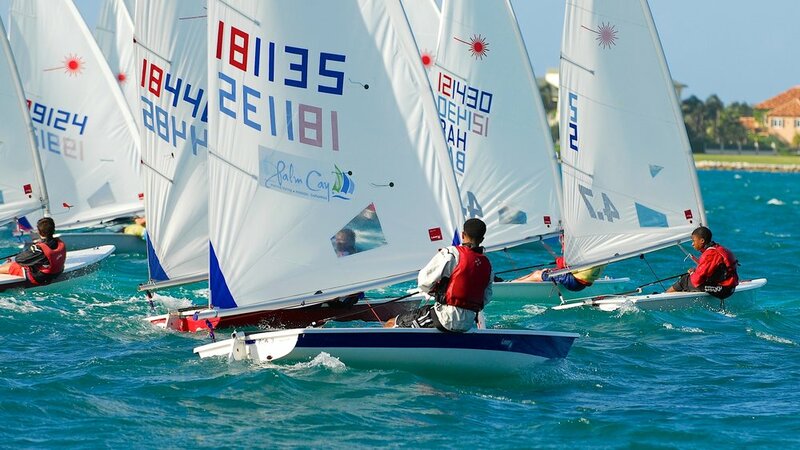 Laser INTERMEDIATE Fleet -For sailors who have completed the Opti Advanced or Sunfish intermediate level course and wish to learn how to sail and race a Laser or just wish to sail for fun. To be considered for this class, participants should have had at least a year's experience in an Optimist, Sunfish or similar boat. Laser ADVANCED (RACING TEAM) - For sailors who are serious about racing and willing to train at a highly competitive level. Sailors to be considered for the advance level must have raced for more than a year and be able to demonstrate good boat-handling, speed and knowledge of the basic rules, strategy and tactics. The aim is to develop all aspects of sailing/racing skills that will allow the student to sail competitively at the international level. Sailors must sign a commitment agreement. Int'l 420 Fleet - For advanced level sailors wishing to race a two person dinghy with trapeze and spinnaker. The boats are fairly new and require the approval of a BSA Director in order to use them. Those who have now qualified have completed an introductory clinic. During the year qualified coaches will be introducing other advanced sailors into the program. To enroll, click the button below to download our application.